Classic Spyderco Knives from the Vault! Knives that flooded the market years ago return better than ever as new production models with updated features all the time, and Spyderco is no exception. One of the (many) benefits of working at KnifeCenter is that your personal knife collection will grow to include some older knives that will be collectible reminders of some of the best times in knife history. 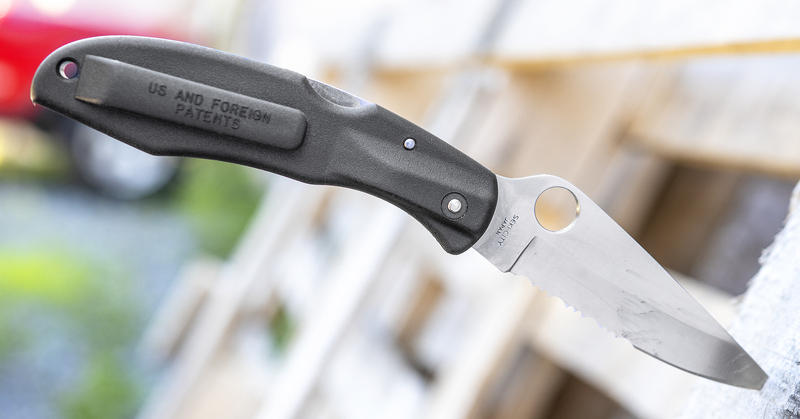 Jason, our buyer, and Howard Korn, our Founder and CEO, were gracious enough to bring some classic Spyderco knives out of retirement for this blog – so let’s take a trip down memory lane. This retired Worker model was produced in 1997 and was their first knife to transition from the traditional GIN-1 steel to ATS-55 steel. Spyderco used ATS-55 prominently in their Japanese-made knives from 1998-2003. We have to kick off our list of classic Spyderco knives with the knife that started it all. The original Worker was debuted at the 1981 SHOT Show in New Orleans. 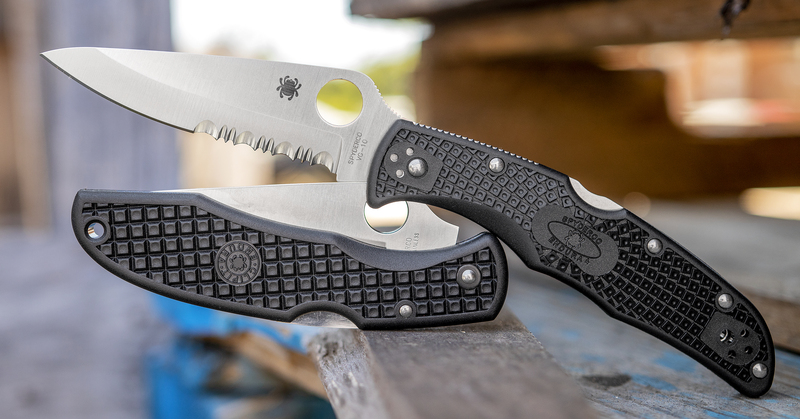 It was Spyderco’s first folding pocket knife to offer their trademarked Round Hole and a pocket clip for convenient carry (which also marks it as the first Spyderco Clipit model). Later iterations also introduced Spyderco’s fully serrated SpyderEdge. Jason picked up this model in 2001, which fell in the 1998-2003 ‘Golden Era of Spyders’. 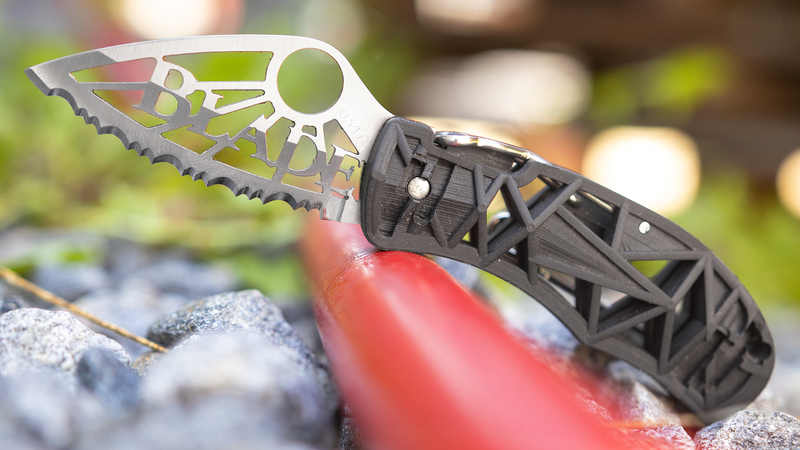 This Q model is one of three designs that commemorate the fantastic efforts of Blade Magazine, one of the best knife publications and a must-have resource for any knife enthusiast. Collectors everywhere would be pretty excited to have any knife from Spyderco’s Q series, especially this rare Blade Magazine commemorative model. This knife comes engraved with its original Collector Card number and encased in the early edition of Spyderco’s white boxes. The original Q was named the Silhouette, and it was created specifically so you could commission knives with a unique company logo of your very own. The Q series is comprised almost exclusively of knives with laser cut logos, including a 1998 SHOT Show edition. Fans of this Co-Pilot model say it has the smoothest action of the bunch. Since only 1,200 pieces were ever produced, getting your hands on one puts you in an exclusive Spyderco club of collectors. This may be hard to believe considering the rules and regulations of the present day, but originally the Co-Pilot was sold as a two-inch airline knife that you could take with you on a plane. The original Co-Pilot was produced between 1987 and 2001, before the full ban on bladed items on airplanes, and while times have changed this compact design endures. 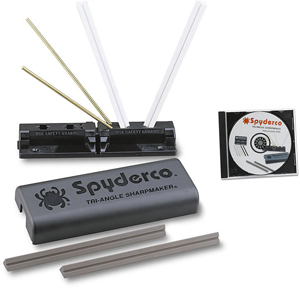 Here we have one of the more expensive variations that was introduced as a sprint run in 2006 and comes with VG-10 steel and Almite aluminum handles. Now for something a little more familiar to the non-collecting knife lovers out there – the Native III. This is an example of a knife that has seen quite an evolution since the original Native was released in 1997. The C78 Native III you’re seeing here has an industry nickname – ‘3D’ – because of the handle’s thick design, palm swell, and textured thumb and finger pads. Introduced in 2004, this version of the Native III has a VG-10 blade and a distinct swedge-grind that reduces weight and adds balance. The Native line continues to be a pretty prolific series, but the latest iterations still keep the same overall aesthetic. A back-to-back shot of the original Native III and a new Native 5 makes it easy to see the newer model’s upgraded S35VN full flat grind blade. The Native 5 also has a screw construction and is produced in Spyderco’s USA factory in Golden, Colorado. 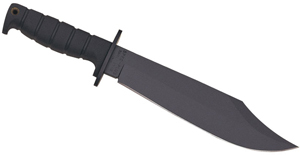 Designed by late longtime custom knifemaker and former President of the American Knifemaker’s Guild Frank Centofante, this first generation Vesuvius was introduced in 2001 with ATS-34 steel – the predecessor to ATS-55. 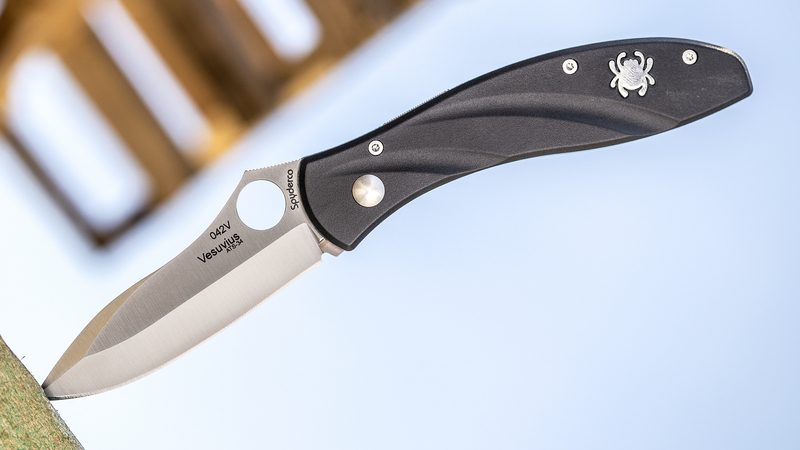 This knife kicked off a series of Spyderco-Centofante collaborations that includes four Vesuvius models, and his presence made such an impact that Spyderco designed a memorial knife in his name to commemorate the incredible contributions he made to educate Spyderco’s manufacturing team. 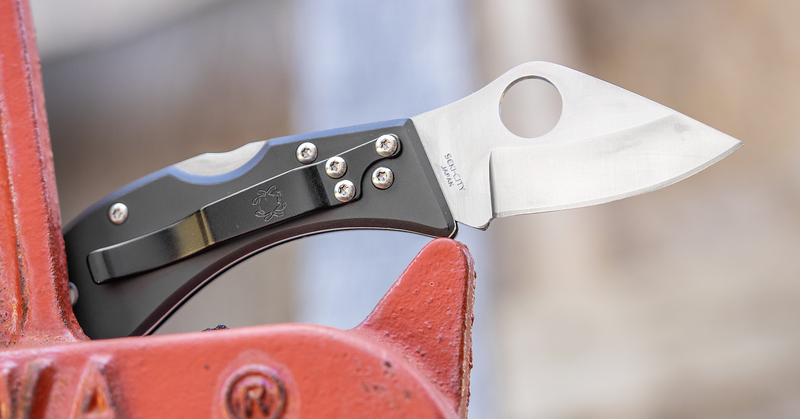 The original Endura was one of the first Spyderco knives that came with a tip-up pocket clip. The Endura made waves in 1990 when it was first introduced and won Blade Magazine’s ‘Overall Knife of the Year’. 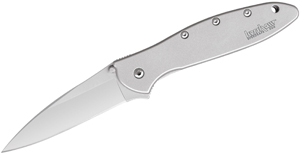 The original iteration had some features that were later improved or changed for future Spyderco knives – the pocket clip, for example, was notorious for breaking because of its thin build. Later versions had a thicker clip to avoid cracking and breaking issues. Spyderco produced a version with a red Zytel handle, as well, before using that handle color exclusively for their training knives – a practice they maintain to this day. The latest Endura models have come a long way. Newer Enduras have a larger Spydie Hole, a four-way pocket clip, skeletonized liners, and a thicker tip than their old school predecessors. 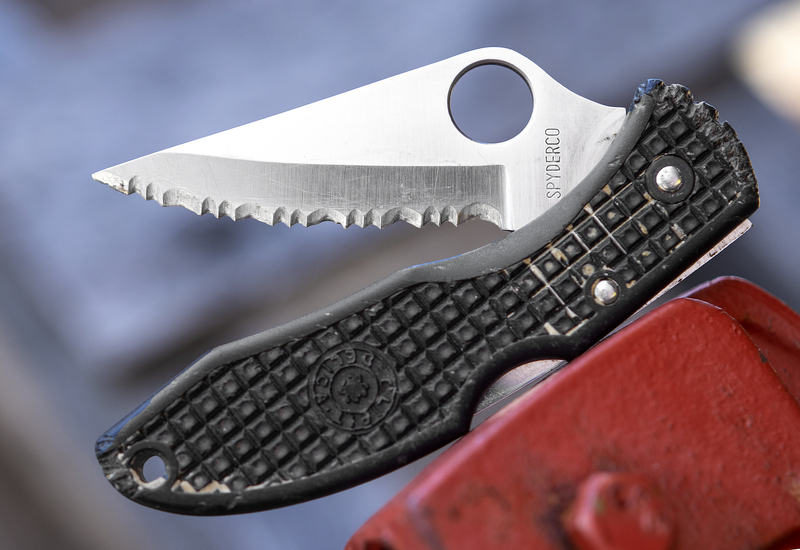 The ‘Big Brother’ to the Endura, the Delica has seen a myriad of updates and improvements throughout its decades-long history. This industry favorite has been in every single one of Spyderco’s product catalogs since at least 1993. 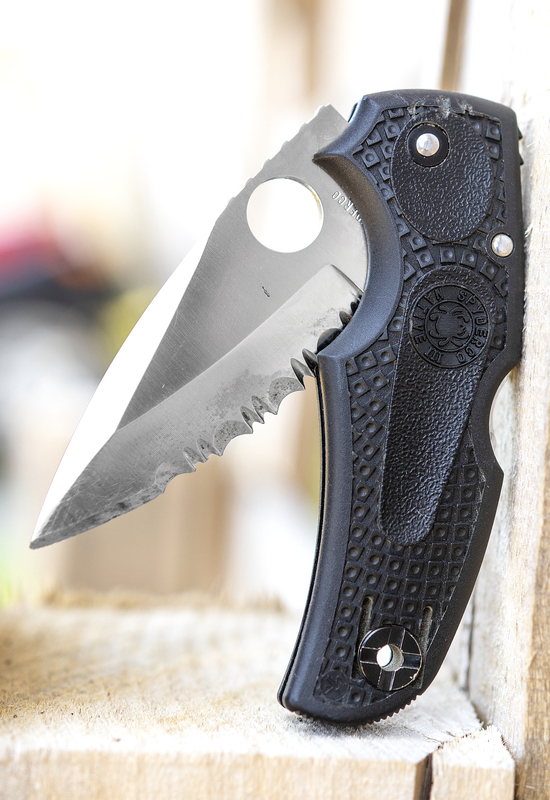 Originally designed by Sal Glesser, the first generation Delica became a bestseller that was created specifically to provide a lightweight pocket knife with a one-handed opening that almost anyone could afford. 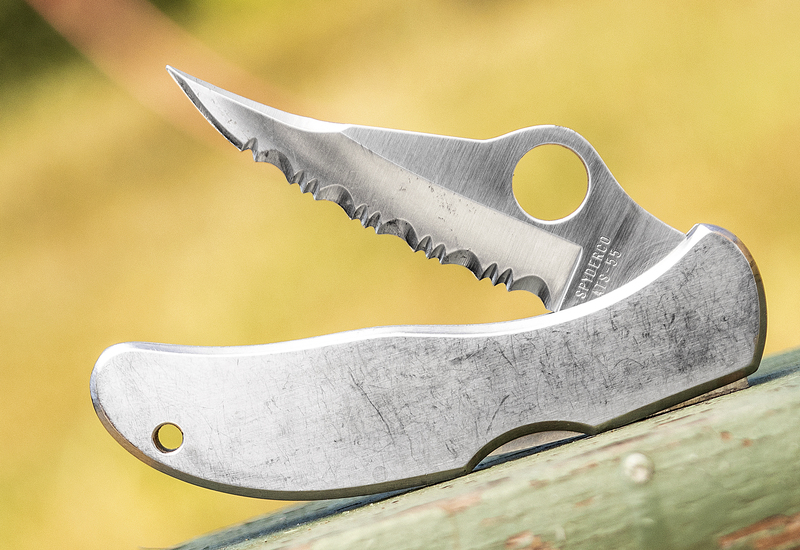 The second generation Delica was debuted in 2006 with some new upgrades – a stainless steel handle, a stainless steel pocket clip, and an AUS-6 steel blade. It wasn’t until 2001 that the Boye dent and reversible pocket clip were added to the Generation 3 model. Just like with the Endura, the Delica has come a long way from the original. These two knives have seen much of the same improvements over time, including the larger Spydie Hole and Boye dent lockback mechanism. That wraps up some of our favorites – what classic Spyderco knives do you have in your collection? We’re always itching for any chance to whip out some of our oldies (and goodies). What knives would you like to see next? Be sure to visit our Facebook, Instagram, and Twitter and tag us in some photos of your own vintage Spyderco knives. KnifeCenter is the original and largest online catalog of cutlery, and that includes the best Spyderco knives in the world.